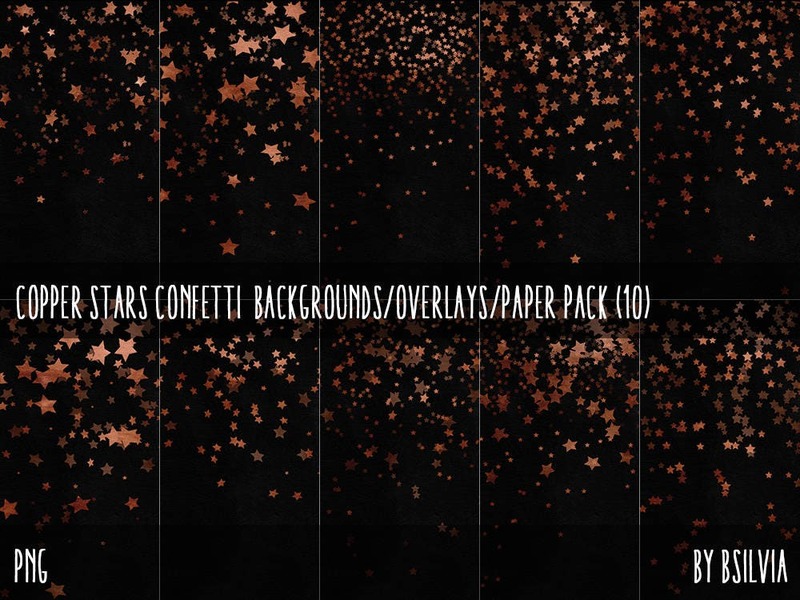 Copper Stars Confetti Overlays Pack is great for scrapbooking, DIY party crafting, invitations, labels, cards or gift wrapping. 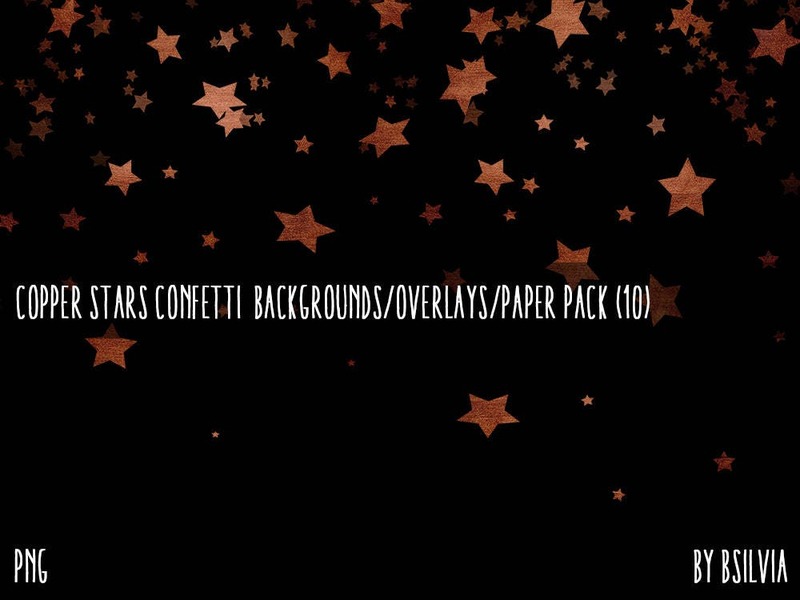 Great for placing underneath or above a product or card, wedding invitation, photo albums and more. 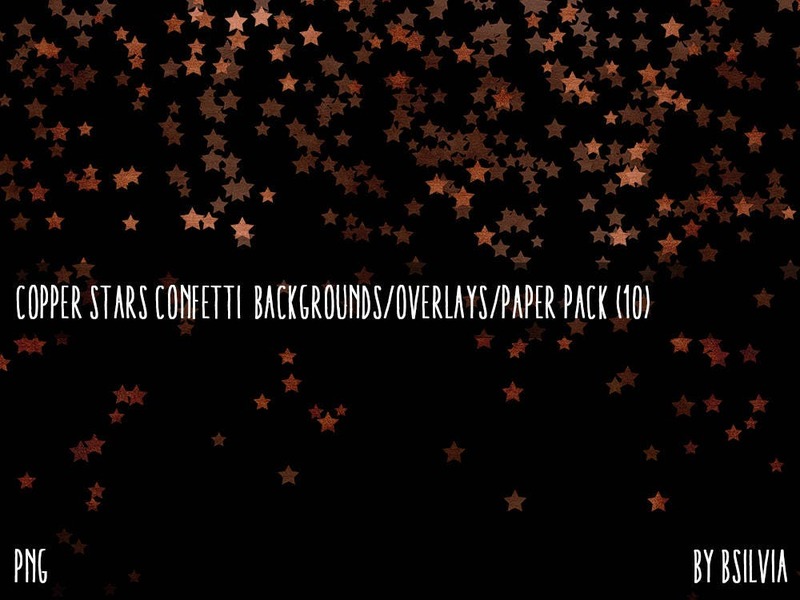 Great add on for parties and celebrations. 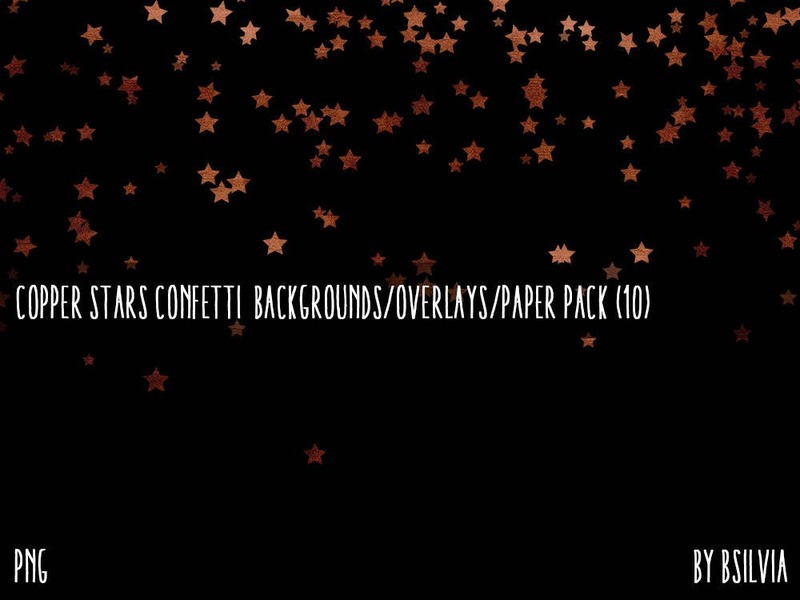 They are PNGs with transparent backgrounds, confetti style. 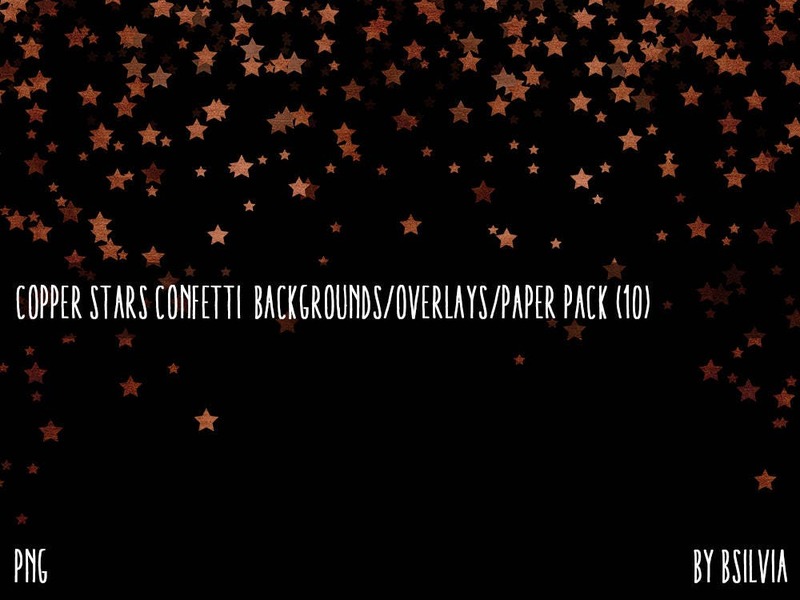 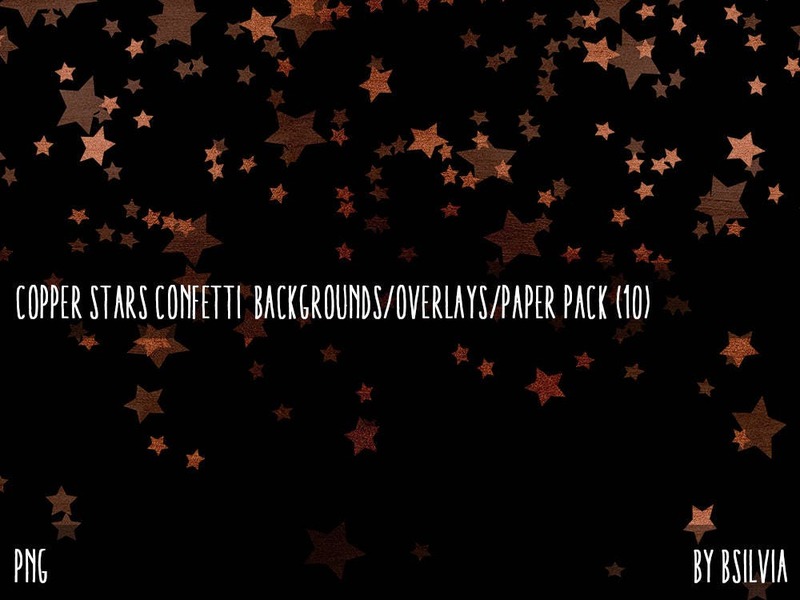 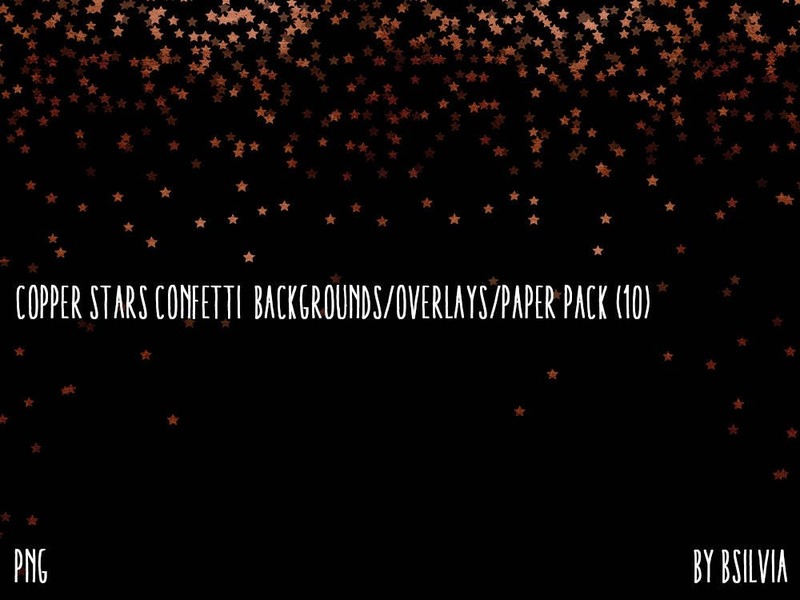 Photoshop transparent overlays, Copper Stars Confetti Papers with transparent background - can be used against light or dark backgrounds.